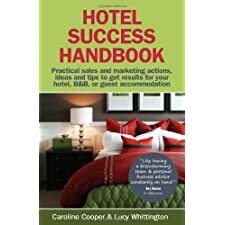 Hotel Success Handbook – Practical Sales and Marketing ideas, actions, and tips to get results for your small hotel, B&B, or guest accommodation. Caroline Cooper and Lucy Whittington from the United Kingdom have compiled an easy to read book of practical marketing and training ideas that target smaller hotels, B&Bs and inns. The book offers balanced suggestions on both traditional and online marketing and receives excellent reviews from a range of hospitality professionals in its opening pages. It is becoming more complicated to market and operate a smaller property and these two professionals have combined their background and experience to provide a a resource that delivers practical advice that one can use immediately. The most successful hospitality businesses are the ones that listen to their customers, address their needs and continuously improve their service and product delivery. What are you doing at your hotel, restaurant or hospitality business? Every economy has its cycles and demand in the hospitality industry for quality lodging will have its peaks and valleys. The availability of quality staff in hotels is a critical reason why it is essential to retain quality staff in all cycles. The cost of turnover for a line level position is estimated to be as much as $6,000 according to recent research1 by Cornell University faculty. When the economy is strong, recruitment and retention is critical because of volume . When the economy is mixed or struggling, retaining our trained staff is essential because of the obvious need to exceed the expectations of our guests. Provide recognition by thanking staff for a job well done, with a handwritten note or hotel wide recognition if appropriate. When you observe a specific achievement, reward it right away with a bonus or non-cash items such as event or movie tickets or an extra paid vacation day. Acknowledge your staff birthdays. Follow the example of Southwest Airlines, known for promoting a feeling of family among its employees. Ask for your employees’ opinions and actually use some of their ideas. Facilitate your staff’s professional development, whether it’s with college classes, seminars, conferences, membership in a professional organization, or even cross-training for career moves within your hotel. In tough economic times, limit this only to staff who have been with you a certain length of time. Hire the right people in the first place. Find people who are looking for the characteristics of your hotel culture – you need people who are service oriented. The right fit makes for a cheerful and appreciated person who is less inclined to leave. WHAT DO YOU DO AT YOUR HOSPITALITY BUSINESS? 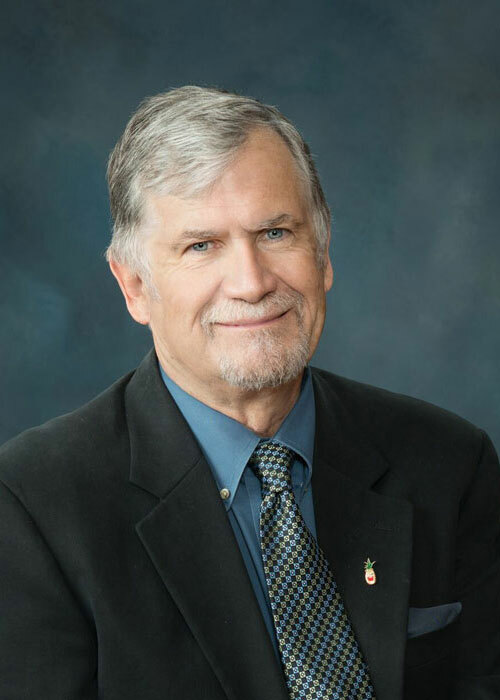 His credentials said, “Al Wrisley, PhD., Professor in Hotel, Restaurant and Travel Administration at the University of Massachusetts, Amherst”, but the undergraduates in the program knew him as a special kind of professor and mentor. He was not my academic adviser, but he always took the time to review what I was considering because he knew I did not have confidence in my assigned adviser. He did not convince me actually to “like” hospitality accounting courses, but he did make me realize the critical nature of understanding financial controls. I recall he led an honors discussion course at a time when these were being tested for their value and I remember how much the class learned from those give and take debates on a range of issues that would affect our industry and livelihood. Al was an authority on certain food and beverage specialties, authored several academic textbooks and worked with a consortium of consultants who helped establish many of the practices and operating standards used today in the urban gas station/food convenience stores. My best reflection of Al is his storytelling about the “real world” of hospitality and hotels. He shared stories of the heart and soul of the people who are the industry and the stories he told influenced those of us who elected to enter and remain in the business. Al is retired now and he and Lynda split their time between Michigan and Florida, although they were considering a Carolina option the last time we spoke. Al, Thank you and your efforts were appreciated by many of us. 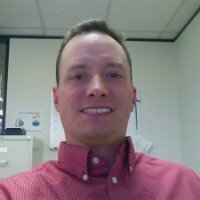 We continue this series with questions answered by Justin Lewis, CHA Corporate Operations Director at Timberline Hospitalities, LLC , based in Casper, Wyoming. The Occidental Hotel in Buffalo, Wyoming. I love the west, history and this hotel has it both. Famous people have stayed there such as Buffalo Bill and Butch Cassidy. It is fully restored and beautiful. My second would be the Holiday Inn Laramie, WY. I am bias because it is a hotel I operate, however it is ranked #8 in customer satisfaction in the Holiday Inn system. Great hotel, great team, great product. Cracker Barrel. I’m southern, need I say more. Grits and sweet tea. Living in Wyoming, my family and I camp a lot around Yellowstone. We also frequent Disney World. When employees fail to make the guest right. When an employee or manager feels like they have to win an argument or prove to the guest why they are not correct really upsets me. We teach often that the guest may not always be right but it is our job to make them right. The key to address this starts at the interview process. Hire people who are not out to win arguments. They make good attorney’s but horrible Hospitality-minded people. Rob Drawbridge – Senior VP of Operations at Quorum Hotels & Resorts. He was my direct supervisor when I was a GM in Casper, WY. He was very clear, intelligent, praised when it was deserved and did not micro manage. He knew it was your hotel, your team and he trusted you. He focused on the bottom-line and developing people. He and I also had a lot in common which made it easy to communicate. When I worked for Quorum Hotels and Resorts, we had a GM meeting at the Brown Palace in Denver. Great speakers, motivators and projects. Well thought out and well orchestrated. Outstanding company to work with and for. The degree is nice! But remember when it comes to Hospitality, focus on the qualities that cannot be taught versus the qualities that can be taught. For example: Happiness, joy, kindness, smiles, praise, connecting with your team – these can’t be taught. That is what Hospitality is all about. We can teach you the rest. It is now past the end of the first month of the New Year. Resolutions were made 30 or more days ago and we already realize that people been breaking them because of any given number of reasons. Those reasons may be strong or without merit, but reality checks remind us all of the need for planning, action, measurement, analysis, correction if need be and then repeating the cycle. These short pieces relating to Making This New Year’s Hospitality Resolutions Real and Practical offer a slight alternative to the resolutions making approaches that seem to get broken so often by offering reminders and action steps to keep forward motion in place. Here are #13-28 with a focus on sales and marketing. The next group will address certain operational areas. 13. 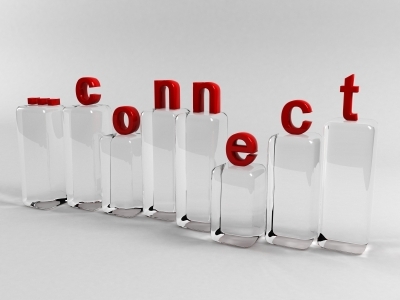 Keep In Touch Regularly: Do not lose contact with a prospect. Phone calls, notes, newsletters, even birthday cards, are good ways to remind people that you are still interested in them. 14. Don’t Criticize: Sell your features against the competition’s, but do not stoop to criticism. Take the high road. 15. Be a Self-Starter: Do not wait for your manager or your home office to” wind you up” every day. 16. Be Honest: Do not sell what you do not have, and be honest about your hotel’s facilities. 17. Keep Your Word: Whatever you promise, you must deliver. In fact, over-deliver on personal attention and service. This is what sets apart the ordinary from the special. 18. Talk and Deliver Quality: Quality is what people need and want, and it is especially important in these trying days. Whether it is the quality of your hotel’s services, its food or its staff- quality sells! 20. Be Enthusiastic! : Nothing is as contagious as enthusiasm, whether it is with your staff or a client. 21. Educate Yourself Continuously: Keep learning as much as you can about our business. There are too many salespeople out there who do not know enough about hotel operations. 22. Don’t Gripe About Work: If you are unhappy with your job or your boss, straighten it out. Or quit. 23. Do Not Use Canned Pitches: Yes, you need to practice your presentation but canned pitches appear to be rehearsed and frequently less than straightforward, so do not use them to sell your hotel. Know your product. Be convincing in a normal, conversational manner. 24.Forget the Word “can’t”. You “can’t” a person to death or your negativity may cause them to book elsewhere. Say, “Yes, we can” instead, assuming of course that you can deliver. You are part of a team, so keep “can’t” out of your conversation and all communication. 25. Use Action Calendars: They are needed to plan the work ahead, and they allow you to adjust your schedule as necessary. 26.Dress the Part: Do not go overboard on clothes styles. The classic look is still the best for sales. 27.Be a Joiner: Be active in your community; join professional groups like MPI, HSMAl or your local hospitality associations. info@hoganhospitality.com anytime or contact me regarding consulting, customized workshops, speaking engagements … And remember – we all need a regular dose of common sense. The Keys to Success are results-driven messages in organized programs aimed at building competitive advantage. Most of these programs can be offered as either a keynote address or an interactive workshop. In this day of information overload, a book that logically and clearly demonstrates both interesting and believable material is very welcome. Garfield tackles searching for peak performance, measuring results in real world scenarios, understanding self management and team development, change management and the ongoing challenges in keeping performance fresh and real.